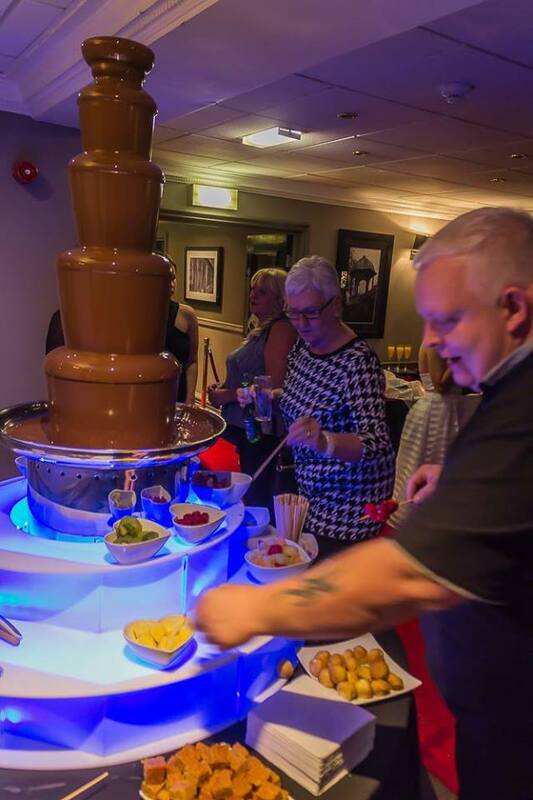 Our chocolate fountain hire is in huge demand for all kinds of parties & events throughout the North West! This particular occasion was a 40th birthday party at the Village Cheadle Manchester. 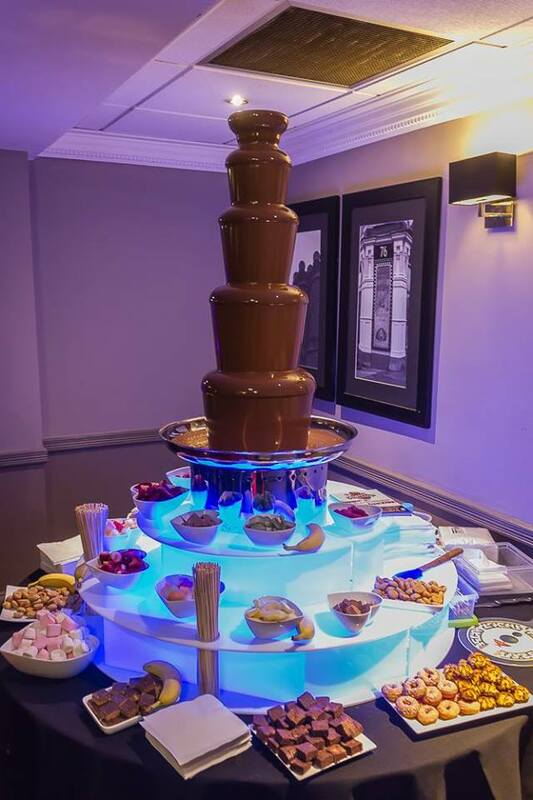 They hired our large (50″) chocolate fountain which really does make a fab centre piece! 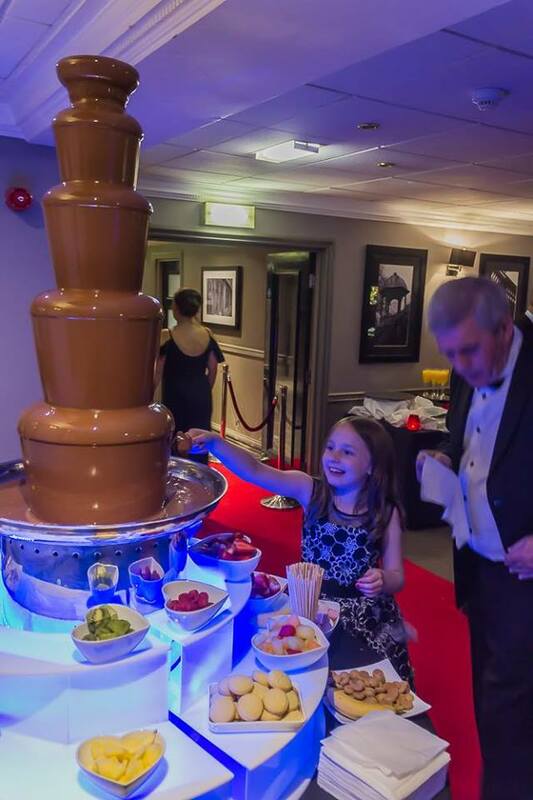 All our chocolate fountains come with delicious top quality chocolate (warmed of course! ), large selection of tempting dips, napkins, skewers & fully staffed throughout.